On 9 September 1947, computer scientist Grace Murray Hopper recorded the first computer bug in her log book, as she worked on the Harvard Mark II. During Copenhagen Maker 2017, FemTech.dk will celebrate the 70th anniversary of this “first actual case of bug being found” through a fun, inclusive, and educational installation.The installation consists of a large image of an old electromechanical computer and physical origami bugs, which can be removed using a mobile game. 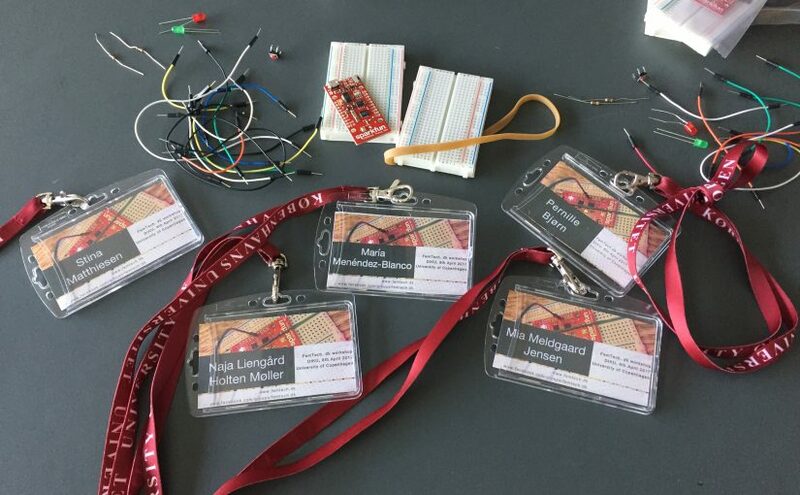 This installation will be co-created by people participating in Copenhagen Maker Fair, who will be invited to create origami bugs and enhance these with actuators controlled by a microcontroller. Copenhagen Maker is the largest maker fair in Copenhagen. This year, the fair will be held on 8-10 September 2017 in Carlsberg Byen. It’s organised in the context of the Techfestival, where more than 15000 people are invited to explore and discuss the impact of technology on our lives. 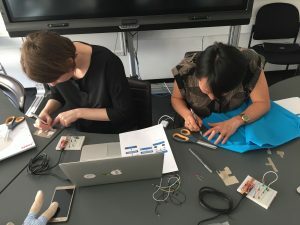 FemTech.dk’s participation is grounded on the stance that the future of technology development entails creating opportunities to bring different experiences, skills, and perspectives together. Frederikke og Aroosa fra Albertslund Gymnasium var begejstrede for at være med på en FemTech workshop arrangeret af Pernille Bjørn fra DIKU. Pigerne programmerede en ‘venlig’ bamse, der i nogle tilfælde kan give en ekstra time på øjet om morgenen. 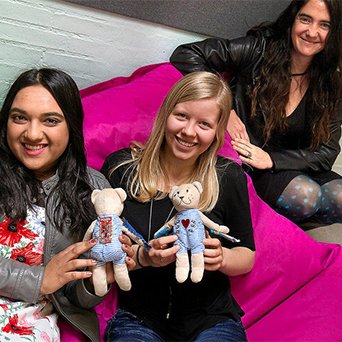 Yesterday, we had our first FemTech.dk event, where we together with 25 STX/HTX students coming from diverse backgrounds and students at 10 different high schools in the Copenhagen area, created, programmed, and hacked an IKEA bear into an IoT product which looks up individual Lectio profiles and check whether the first module today in cancelled – thus making it possible to snooze and sleep longer – something everybody wants in the morning. 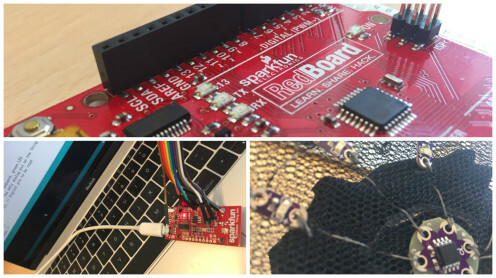 It was amazing to experience the hardworking students learning about micro-controller programming, IoT, and electronic textile. Everybody was dedicated and it was fantastic to see the excitement when IT WORKED!FemTech.dk could not have been possible without the amazing collaboration with Math teachers from Hvidovre Gymnasium, Rødovre Gymnasium, Albertslund Gymnasium, Ørested Gymnasium, Rysensteen Gymnasium, Copenhagen International School, Nørre Gymnasium, Frederiksberg Gymnasium, Roskilde HTX, and TEC Ballerup – thank you for lending us your students for a day. At the Human-Centered Computing (HCC) section at University of Copenhagen Computer Science department (DIKU), we are researching new alternative ways to include diversity in digital technology development. We want to create new ways of engaging people from diverse backgrounds into digital technology development. 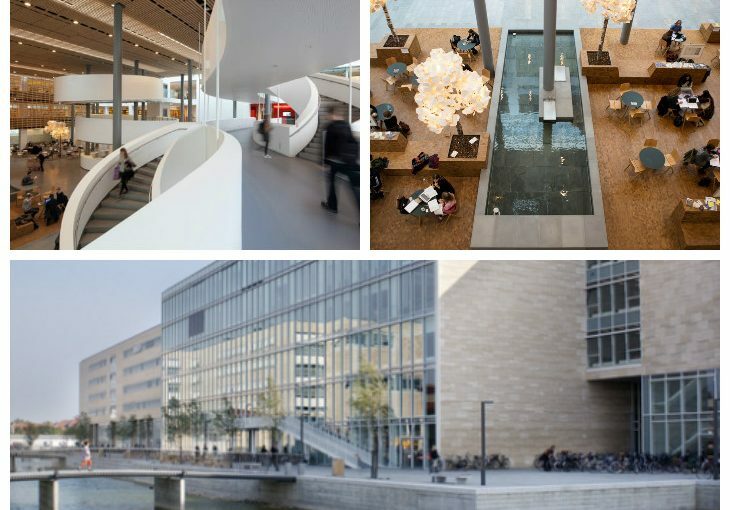 We believe that initiatives such as workshops and events are able to counterbalance predominant trends, and thus contribute to diversity and inclusion in the long term.For this reason, we are organizing a one-day FemTech workshop, where 24 STX/HTX students from different schools in the Copenhagen main area are invited to participate. 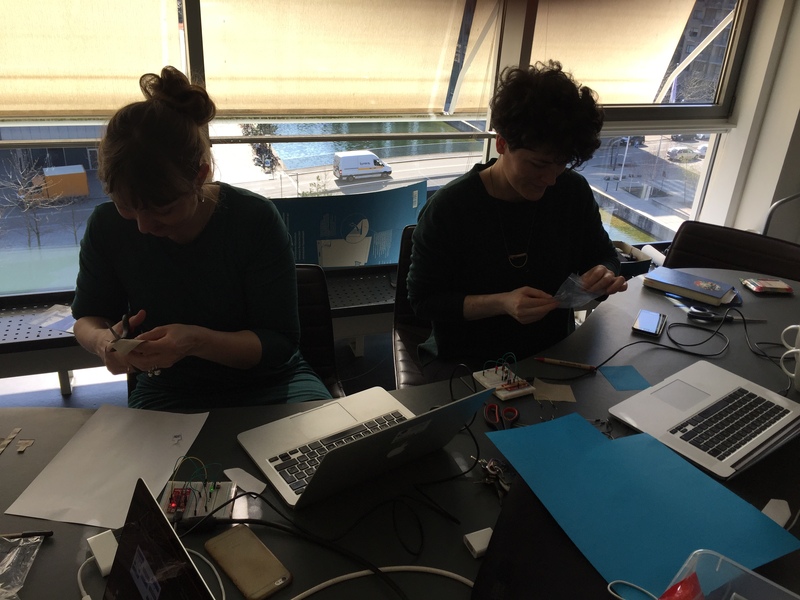 During this workshop participants will create an interactive product combining textile materials and digital technologies, utilizing the potentials of microcontrollers and sensors created by conductive fabric. Kicking off FemTech.dk at DIKU! 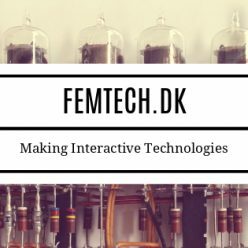 At the Computer Science Department of the University of Copenhagen (DIKU), we are launching FemTech.dk, which is a research project dedicated to creating new methods that facilitate diversity and inclusion in computing. FemTech.dk is a grounded within the Human Centred Computing section at the Computer Science Department (DIKU) at the University of Copenhagen, Denmark.